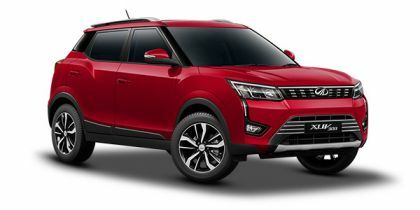 Mahindra XUV300 price starts at Rs.7.90 lakh (Ex-Showroom, Delhi) and the top end variant Mahindra XUV300 W8 Option Dual Tone Diesel is priced at Rs. 12.14 lakh (Ex-Showroom, Delhi). The XUV300 will be offered with two engine options - a 1.2-litre turbocharged petrol engine and a 1.5-litre diesel engine. Notably, only a 6-speed manual transmission will be available with both motors. You’d have to wait at least for a year to get your hands on an XUV300 automatic. The three-cylinder turbo-petrol makes a healthy 110PS and 200Nm. On the other hand, the diesel engine, borrowed from the Marazzo is tuned differently here, making 115PS and 300Nm. We’ve only driven the diesel engine, so far. It’s made for those fast-paced highway cruises and doesn’t mind being chucked har d into corners either. It struggles a bit when the turbo isn’t spooling - read ‘under 1500rpm’ - which makes driving it smoothly in the city a bit of a challenge. Q. How is XUV300 W6 better than Tata Nexon XZ model. I see almost everything better in Nexon compared to W6 except power. Q. Is it a good vehicle? Q. Since how long you are driving XUV 300, If you can please help with a detailed review so that it helps in taking the right buying decision. Q. I am going to purchase XUV 300 W6 PETROL so I wanna ask you should I purchase or not? What is your opinion on it? Q. Tell me about the car and mileage. Q. How is the performance of Mahindra XUV 300?